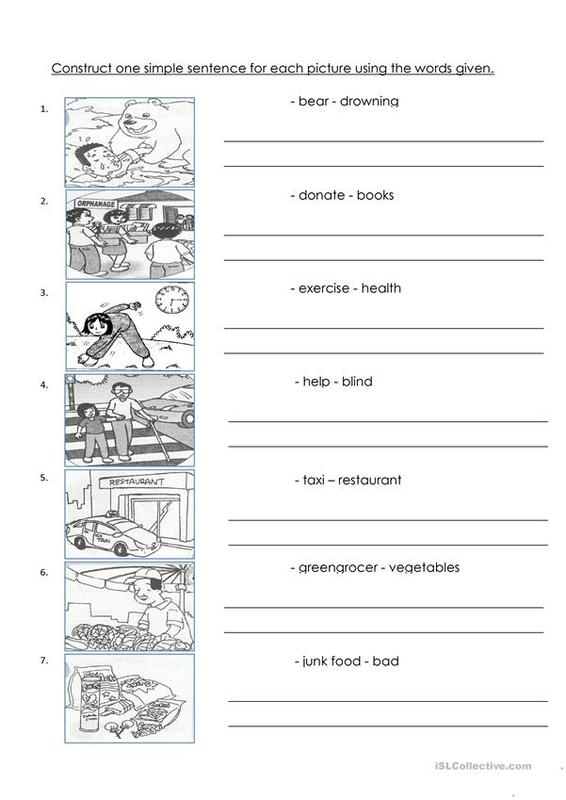 An easy worksheet which includes 7 pictures and helping words to construct sentences. Can be used as a revision activity for the beginners to write sentences on their own. The above downloadable handout was created for elementary school students at Elementary (A1) and Pre-intermediate (A2) level. It is great for revising Present continuous (progressive) tense in English, and is useful for working on your class' Spelling and Writing skills. It focuses on the theme of Feelings, emotions. parme is from/lives in Malaysia and has been a member of iSLCollective since 2012-09-03 04:20:52. parme last logged in on 2019-03-20 17:18:48, and has shared 6 resources on iSLCollective so far.